We visited this temple on a Buddhist holiday, so it was full of families praying and making offerings of flowers, incense and money. 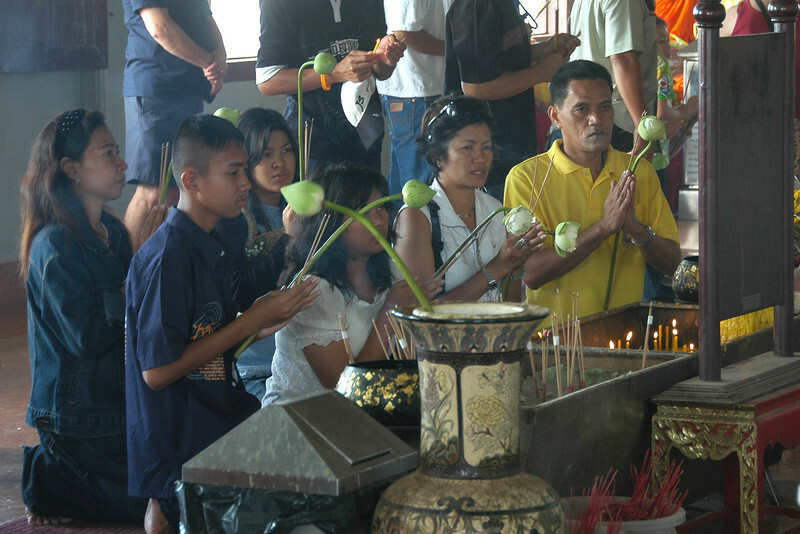 Once purchased, flowers are not kept, but rather rented so they can be recycled for the next customer making an offering. The importance lies in the offering, not the possession. Quintessentially Buddhist. Read Bangkok's 15-course street meal.